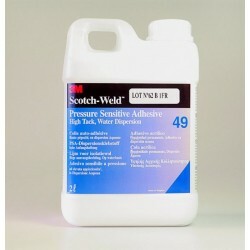 Scotch-Weld Adhesive 3762 LM is a hot melt adhesive with excellent "hot tack" properties. 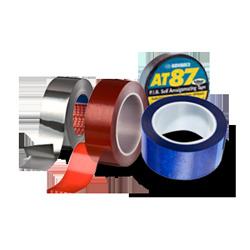 This low melt adhesive is applied at only 129°C which bonds heat sensitive substrates such as expanded polystyrene. 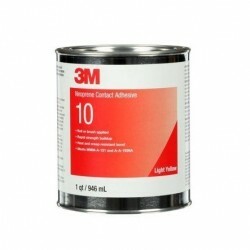 3M Scotch-Weld Neoprene Contact Adhesive 10 is a multi-purpose contact adhesive which may be used to bond plastic laminate, aluminium, steel, wallboard, wood, masonry, rubber and canvas. 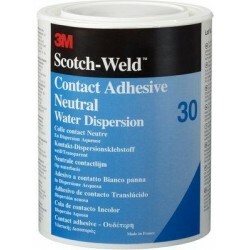 3M Scotch-Weld Contact Adhesive 30 is water dispersed, sprayable contact adhesives for high immediate bond strength and long bonding range. 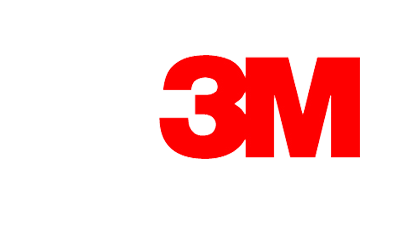 3M Scotch-Weld Contact Adhesive 49 is a water-based, high solids, fast tacking, pressure sensitive adhesive for bonding lightweight materials like fiberglass insulation, felt, shoddy, paper and other materials to metal and many other surfaces. 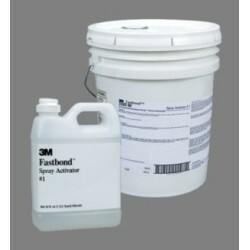 3M Fastbond 2000-NF adhesive and spray activator is a water-dispersed, high solids, activated adhesive which provides immediate bonding capabilities and handling strength without forced drying equipment. 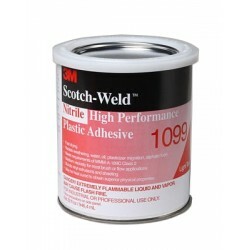 3M Scotch-Weld Epoxy Adhesives DP-100 is a clear two-part adhesives offering fast cure and machinability. 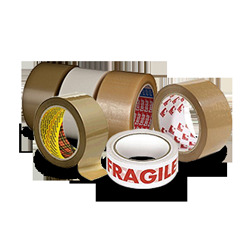 Two-part epoxy adhesive with a 1:1 mix ratio, 25 minute worklife and exhibits very high peel strength. 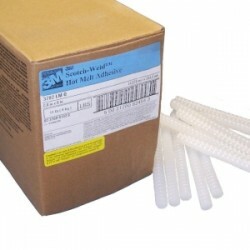 Cures at room temperature. 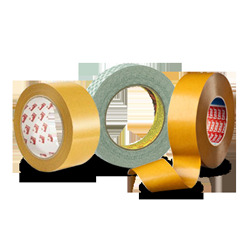 Use to bond rubber, metal, wood, plastics, and masonry products. 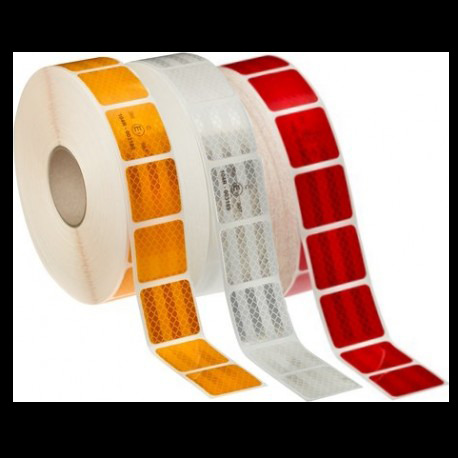 Faster curing version of 3M Scotch-Weld DP-190 Adhesive. 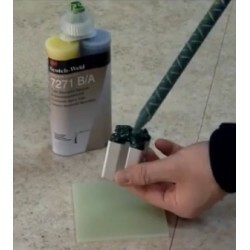 3M Scotch-weld EPX grey epoxy adhesive DP190 is a room temperature curing, two part epoxy adhesive supplied in 3M Duo-pak cartridge for use with the EPX applicator. 3M Scotch-weld DP460 epoxy adhesive is an off-white high performance, two part epoxy adhesives offering outstanding shear and peel adhesion, and very high levels of durability. 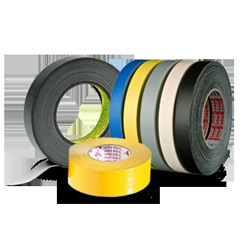 3M Scotch-weld EPX adhesive DP490 is a black, thixotropic, gap filling two component epoxy adhesive with particularly good application characteristics. 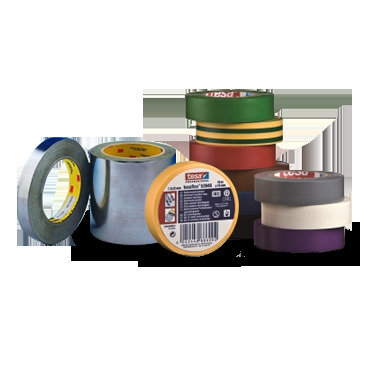 3M EPX polyurethane adhesive DP609 is a flexible structural adhesive which cures quickly at room temperature and is particularly effective for bonding plastics and painted or primed metal surfaces. 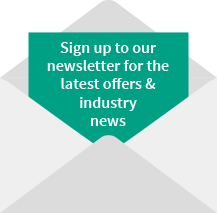 Permanent assembly without surface pre-treatment of low surface energy plastics and thermoplastic olefins. 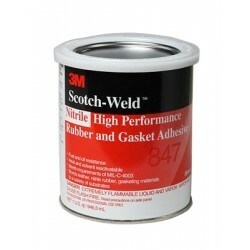 3M Scotch-Weld high performance rubber and gasket adhesive 847 is a premium quality, reddish brown, multi-purpose adhesive. 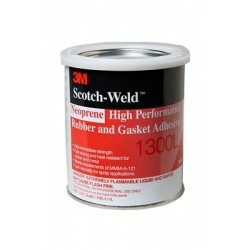 3M Scotch-Weld neoprene high performance rubber and gasket adhesive 1300L is a yellow solvent type synthetic rubber based adhesive. 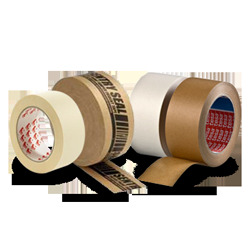 High immediate strength and good heat resistance.